Bjorn Krondorfer, one of the leading scholars in this field, has collected 35 key texts that have shaped this field within the wider area of the study of gender, religion and culture. The texts in this critical reader engage actively and critically with the position of men in society and church, men's privileged relation to the sacred and to religious authority, the ideals of masculinity as engendered by religious discourse, and alternative trajectories of being in the world, whether spiritually, relationally or sexually. Each of the texts is introduced by the editor and accompanied by bibliographies that make this the ideal tool for study. Björn Krondorfer is Director of the Martin-Springer Institute at Northern Arizona University and Endowed Professor of Religious Studies in the Department of Comparative Cultural Studies. His field of expertise is religion, gender, culture, (post-) Holocaust studies, Western religious thought, and reconciliation studies. His scholarship helped to define the field of Critical Menâs Studies in Religions. Nationally and internationally, Krondorfer facilitates intercultural encounters on issues of conflict, memory, and reconciliation. He has been invited to speak, present his research, and facilitate workshops and seminars in South Africa, Australia, South Korea, Finland, Poland, United Kingdom, Italy, Israel/Palestine, Germany, Switzerland, Austria, and Canada. 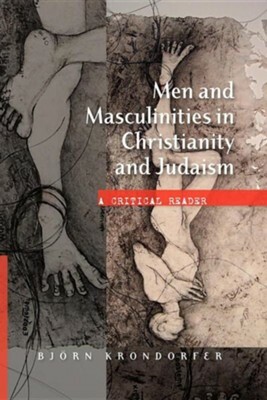 From cover to cover the volume facilitates better understanding of the place of men and masculinities in Christianity and Judaism; it will surely be a staple in the future of critical menââ¬s studies in religion. I'm the author/artist and I want to review Men and Masculinities in Christianity and Judaism: A Critical Reader.